In the village of Rabouillet , Robert Liens continues to display his artwork in a gallery come tea room , opened initially last July. This year, it will be open at the weekend from Easter onwards and every afternoon ( except Monday ) in July and August . 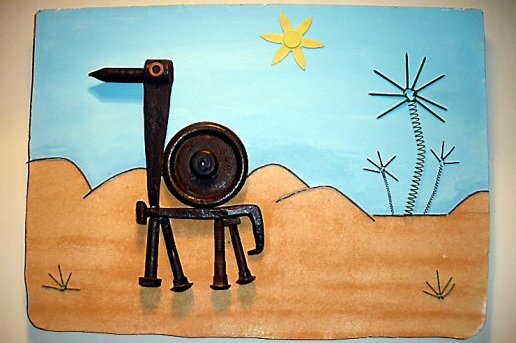 Each sculpture is made from old , mainly agricultural ironwork , found in the village , or even at the décharge! A big weekend will be the 17th and 18th May , when Robert is participating in “Balade en Terre d’Artiste”, organised by the Conseil Général , when the public can visit artists in their studios, throughout the departement .